High Dynamic Range or HDR photography is done by combining 3 images of a same scene taken at different shutter speeds. What you get is a dark, normal and bright image. The three images you get are later combined together using a software to bring details to the shadows and highlights in the final image. HDR photography is easy and any one can do this. All you need is a camera and 3 images of a scene at different exposures. A sturdy tripod is also necessary. I recommend the AmazonBasics 60-inch Portable Tripod as an excellent entry-level option for HDR Photography. 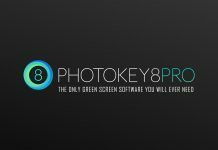 Let’s take a look at a typical HDR photography workflow. We place our camera on a tripod and click a picture of our scene at normal exposure. By normal exposure, I mean your exposure reading is set to EV 0. Now we take two more pictures of the same scene. One at EV +1 (One stop greater resulting in a brighter image) and another one at EV -1 (One step lower resulting in a darker image). You can go 2 or 3 steps higher and 2 or 3 steps lower as well. 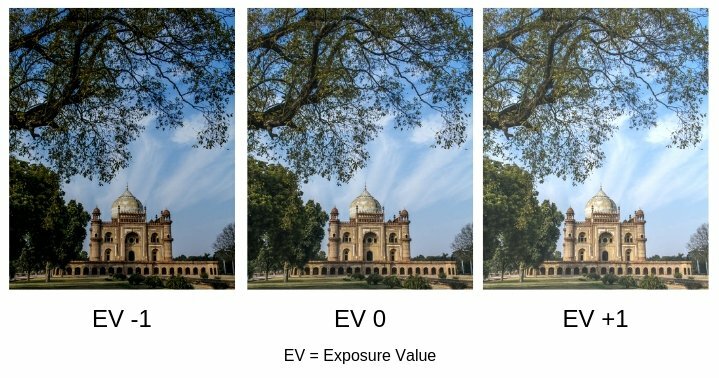 Personally, I go with EV -1, EV 0 and EV +1 for my HDR photos. 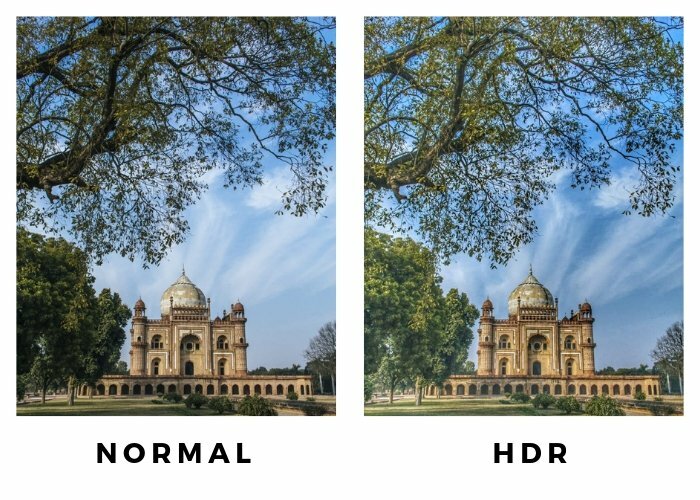 This approach to HDR photography is well accepted but the downside to it is you have to manually change the exposure every time after taking a shot. 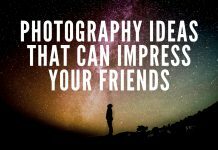 You can do it by changing the shutter speed, aperture or ISO of your camera. Physically touching your camera after taking a picture sometimes results in camera shake, even when your camera is on a tripod. You may not notice it but the truth is – IT HAPPENS. The three images are later combined in post using a software to create one final HDR image. If earlier there was even a slight shake in the camera, the images won’t overlap properly to achieve the expected HDR look. To avoid this, there is another way to capture those 3 set of images without any possible error. The way I do my HDR Photography is quite simple. Capture all the 3 images at the same time. You must be wondering how? How is it possible to capture 3 images with different exposures at the same time. And no, I don’t use 3 different cameras. I use one camera, one click of the shutter button and my images are ready to go for HDR processing. My smart way to HDR Photography is using Auto Exposure Bracketing. 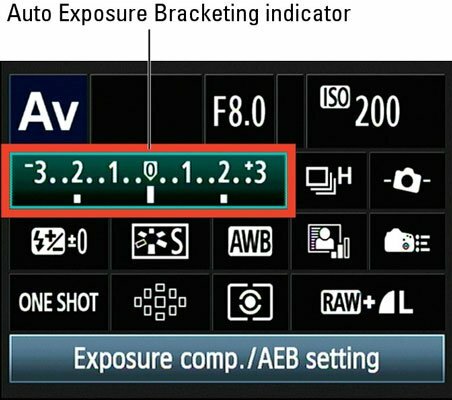 Exposure Bracketing is an in-built camera setting to capture images at different exposure level. 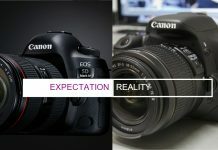 Both Canon & Nikon offers exposure bracketing feature in their DSLR’s. 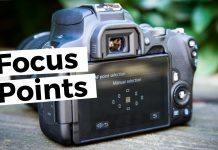 You can set your camera so that the shutter speed and aperture value are changed automatically to capture three successive shots with exposure bracketing of +/-2-stops in 1/3-stop increments (in Canon DSLR’s). HOW TO USE EXPOSURE BRACKETING? I use a Canon DSLR and the steps mentioned below are specific to Canon users. 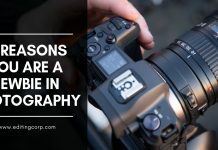 If you are a Nikon owner, this guide on how to use exposure bracketing on Nikon will help you out. Open your camera menu and navigate to Expo.comp./AEB. You can also enable AEB through the quick control screen. Simply press the Q button on your Canon DSLR and highlight the exposure meter. Rotate the main dial to establish the amount of exposure change you want between images. When you rotate the dial, the meter expands, showing two additional vertical lines. Keep rotating the dial until you get the exposure indicators to reflect the amount of adjustment you want between each bracketed shot. How you shoot your 3 images depends on whether you set the drive mode to Single or Continuous. 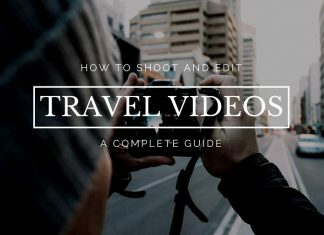 In single mode, you fully press the shutter button 3 times to shoot your set of images. In continuous or self timer/remote mode, all 3 images are captured with a single press of the shutter button. Personally, I always use continuous or remote mode to avoid any possible camera shakes. Upload your 3 photos of the same scene but different exposures and click on the ‘Start’ button. Once those images are uploaded, adjust using different style of HDR effects and select the one you prefer. Modify the intensity and other settings to maximise the result. You can also enable ‘Ghost Reduction’ to correct any inconsistencies. Choose the format and quality of your HDR image and download it. 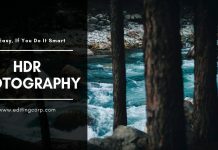 If you use Adobe Lightroom to edit your photos, make use of the Photo Merge option available under the ‘Photo’ tab to merge multiple exposure bracketed images into a single HDR image. HDR Photography is a powerful technique to capture the maximum of the details. 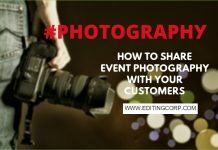 It is a valuable technique that can drastically improve your photography. 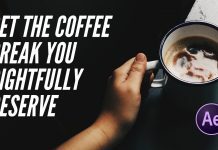 All it takes is a smart approach and a bit of practice.